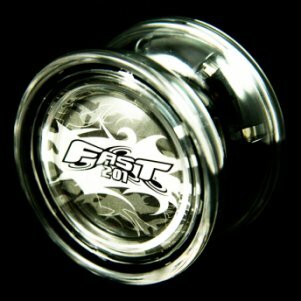 The Simple Yoyo - A Passing Fad? I know that you know what a yoyo is. It is a simple toy that has been around for at least 3000 years. No one knows where this toy was invented but many argue that it first showed up in China. Most likely true as I am guessing most of them today are made in China. Seems logical doesn't it. I hear that the Greeks also claim to be the inventors. But, who cares so long as we don't have to go to war over it. Right? Then again, it would be way cool to tell your grandkids you fought in the Yoyo Wars. Throughout its 3000 year history this simple toy has nearly always been thought of as a passing fad. If that is true, it puts all other passing fads to shame for sure! I know I held on to my long hair in the 70's longer than most but even that came to an end. Oh, I have used the term simple three times now! Well, in recent years yoyo champions in their quest for greater and greater complexity in their tricks have gotten the engineers involved. Today's high tech toy includes ball bearings, centrifugal clutches and precision weighted rims. There are two basic shapes, the Imperial, which is the most common shape we all grew up with. The Imperial has a straight narrow string slot and a more less rounded rim. The second shape is the Butterfly which, if you use a bit of imagination looks like two butterflies facing each other. The string slot is a wide open V shape which helps it land on the string when doing tricks. Each of these two shapes can be purchased with a variety of options which I will describe below. Tricks or Play - Tricks are many times referred to as plays. I will try to stay with tricks! Sleep Time - This is the time the yoyo will rotate while hanging on the end of the string. During this time the master trickster can perform his/her magic. Wooden axle - This describes the most basic toy where the two halves are glued onto a wooden dowel. This type is basic, simple and usually for the beginner. Transaxle - This version typically has a metal shaft with a plastic sleeve over it which allows the toy to rotate freely with little or no string friction. These will have longer sleep times. Centrifugal Clutch - This feature is most useful for the beginner as the toy will go to the end of the string, sleep and then as the speed slows down the clutch will kick in and return it to your hand. This little feature is often referred to as a yoyo with brains. Ball Bearing - In some of the toys used in the more advanced tricks a ball bearing has been placed on the axle allowing for extremely long sleep times. The record sleep time is something like 13 minutes! 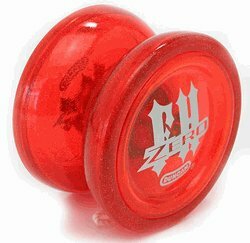 So, what is the best beginner yoyo? In my opinion, there is no best toy to start with, but there are some that tend to be for advanced players and some for those just beginning. Since this is a common question here are a few good choices for the beginner from different manufacturers. Yomega Power Brain - This one has a clutch that will help a beginner learn the basic throwdown and sleeper. Best for 8 years and up. Sells for about $13. 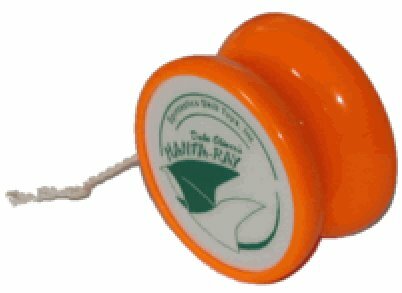 Spintastics Manta Ray - A basic flared gap toy with a wooden axle. Great for very young kids. Sells for about $8. Fast 201. 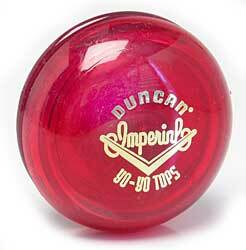 A fully adjustable ball-bearing toy that can be set up for a beginner or intermediate player. Sells for about $10. 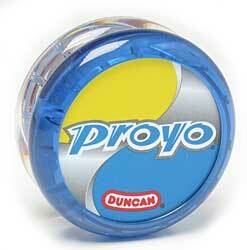 You could also ask what is the best yoyo for any of the skill levels? It becomes a matter of taste and preference. Buy a few, start playing, and you will figure out for yourself which is the best for you and the skill level you are trying to achieve. If you do a Google search for any of these starter yoyo’s you will come up with a number of sellers. Prices can vary a bit so shopping around is always a good idea. And, don’t forget to get a book of tricks to perform with your new toy. I have listed in the resources below a few websites that appear to be very helpful and informative. Get the string right! One of the basics to know is setting the length of string correctly for your height. Get it wrong and you will more often than you want bounce the toy on the floor. The string length will be right when the finger with the string around it is at your belly button and the toy touches the floor. If you have to make any adjustments do it at the finger end by tying a new knot and relooping over your finger. Never adjust the yoyo end as knots will greatly change the performance of the toy in a bad way. Second critical string thing is to use string designed for this toy. The string that comes on a new toy will be double ply and twisted. To put a new string on the toy you separate the two plies and slip it over one side of the toy and into the slot. Then loop it again. This is referred to as the double twist method of installing the string. The string will rewind itself giving just the right tension on the axle. When using a yoyo with a centrifugal clutch (also called brain or auto-return) you will have to take it apart from time to time and lubricate the axle. If the lubricant dries out the string will drag and reduce performance. Use a light mineral oil or baby oil to fix this problem. If your toy is noisy, it likely needs a bit of maintenance. The noise is coming from the auto-return mechanism and can be cured by unscrewing the two sides and giving it a drop of mineral or baby oil. Watch when you put it back together that you don’t pinch the string! This is a great site as it explains virtually everything you could want to know from beginner to expert. Heavy use of videos to demonstrate all concepts. 1. 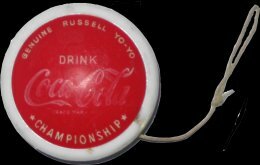 The American Yo-Yo Association http://www.ayya.org/core/ This a great site for the serious Yoyo enthusiast with resources and web links to other sites. Memberships start at $15 a year. Quite a lot of free information available for the visitor.